Afroz Alam | I.K International Publishing House Pvt. 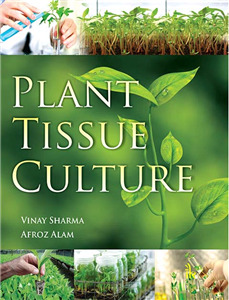 Ltd.
Afroz Alam, obtained his Ph.D. in Botany (Bryophyta) from the University of Lucknow in 2006. 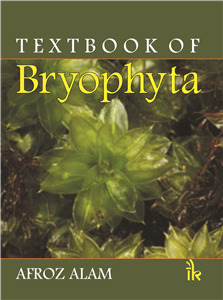 His area of specialization is bryophytes' systematics and bryodiversity. He was awarded JRF and SRF in “All India Coordinated Project on Taxonomy of Bryophytes” (AICOPTAX) sponsored by the Ministry of Environment & Forests, New Delhi at Bryology Unit, Department of Botany, University of Lucknow. Dr. Alam has collected over 3000 accessions of bryophytes during plant collection trips to different parts of the country, including some arduous and treacherous terrains of Nilgiri and Palni Hills of Southern Peninsula, Eastern and Western Himalayas and Rajasthan. Currently Dr. Alam is working as an Associate Professor, Department of Bioscience and Biotechnology, Banasthali University, Rajasthan. He has guided several students for their Ph. D. and many of them are working in the field of Bryology. He has over 50 research publications in prestigious international and national journals, two monographs and a textbook of Economic Botany. He is a life member of Association of Plant Taxonomy (APT), India and Indian Bryological Society (IBS).